The wife of a Cape Breton physician says she's astonished that Nova Scotia was the only province that didn't send its physician recruiters to a national meeting in St. John's. Linda Murray attended the conference in hopes of finding her husband's replacement. 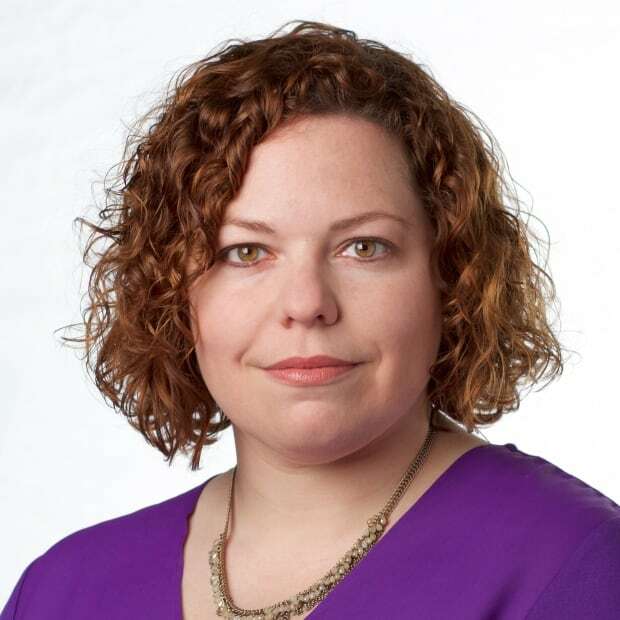 The wife of a Cape Breton physician says she's astonished that Nova Scotia was the only province that didn't send its physician recruiters to a national meeting in St. John's over the weekend. "We've gotta do more to get the word out there more, that Nova Scotia is a great place, and we are looking," said Linda Murray. "It doesn't look right now like we are looking, because there is no one here recruiting!" Murray's husband, Dr. Ken Murray, has been working in Neils Harbour for 45 years. His wife says they love their community, and want to make sure they leave the practice in good hands. She's so anxious to move on to the next stage of their lives that she attended recruiting sessions at the conference to learn how to help find a new doctor. "Without a replacement, he will continue to service our community forever probably. So that means if he can't retire, I can't retire." More than 600 medical students, residents and family doctors gathered for the Rural and Remote Medicine Course. While it's a training session, health authorities, organizations and communities set up displays to try to show the opportunities in their corners of the country. Teams made the trek from all three territories, and there were several tables representing various parts of British Columbia. But the display featuring the Nova Scotia tartan was absent. "We're just missing the mark here," said Murray, who spent the weekend mingling with younger doctors. "There are six booths from B.C. here. It's across the pond from Nova Scotia, and there's no one here." The head of the Nova Scotia Health Authority's recruitment team said in a email they had good reason to skip the conference. It's expensive, and it has never yielded any results in the past. 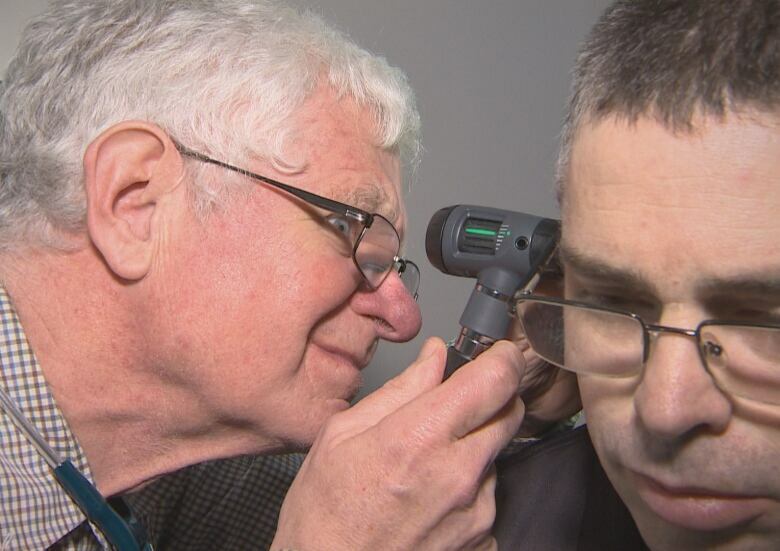 Instead, recruiters were in St. John's last month for an exclusive Nova Scotia event with residents, and they'll be attending a larger conference in Toronto in May which includes not only family physicians, but nurse practitioners. There are dozens of medical conferences throughout the year, all over the country. Recruiters say they have to be strategic in choosing which ones to attend. This was the first year that New Brunswick recruiters set up a booth at the Rural and Remote Conference, and they agreed it was an expensive endeavour. Denise Coulombe, the recruiter for Horizon Health, estimates it cost them $8,000 to set up the booth for the weekend, plus the travel expenses. "Our needs in New Brunswick are mostly — when we speak about family medicine — are more rural, so we're attending events where we would get a bigger audience of rural physicians so that's why we thought this would be the best one — one of the good ones to attend." She says in future years they would likely save money by only setting up for one day. Nonetheless, she says the weekend was a success. She estimates they have a dozen leads to follow up on. "For us that's a win. One person, or ten people, as long as you have one, it's one more than what you had," she said. "We had a lot of prospects come to the table, New Brunswickers and non-New Brunswickers." Nova Scotia's lack of previous success is in stark contrast with what recruiters on the ground said about the potential of the three-day event. Karla Scott, the recruitment and retention officer for Yukon, had to travel the farthest, but she says it was well worth the distance. She got the names of 60 people interested in going to the territory either as locums or for a position. She estimates that translates into 10 to 20 solid leads. "It's one of our best conferences to come to," she said. "It's been awesome." Meredith Cormier, rural lead for Doctors of BC, said the rural meeting is their top recruiting priority. "Because a number of residents and students also attend this conference and they're often looking for the places where they're going to end up in their career," she said. "Once you can plant the seed in a medical student's head that B.C. would be a nice place to live, then hopefully their curiosity never leaves them." British Columbia has a comparable doctor shortage to Nova Scotia. Cormier said half the work is already done at this conference, because all of the physicians identify as wanting to work in rural. They don't have to compete with large, urban centres. "Even if they're not ready now, if they're a medical student, they follow up with them for years to get them to come out to B.C. It's a long-term relationship investment." The Murrays weren't the only Nova Scotians working the room, Dalhousie University officials mingled at the student and resident reception. Some medical students told CBC News that Dalhousie left a strong impression. "The Dalhousie program is one of them, I think, that is not as advertised as prominently but does seem like a great rural program so that's one thing to keep my eye out for in the future," said Jasmine Waslowski, a second-year medical school student at the University of Toronto. Meanwhile, Linda Murray says the health authority and provincial government are sending the wrong message about the need for new physicians. "They just have to keep on trying. They're just showing they're not trying by not having a booth here." Nova Scotia will automatically have an edge to win over rural doctors at next year's Rural and Remote Medicine Course: it's being held in Halifax.